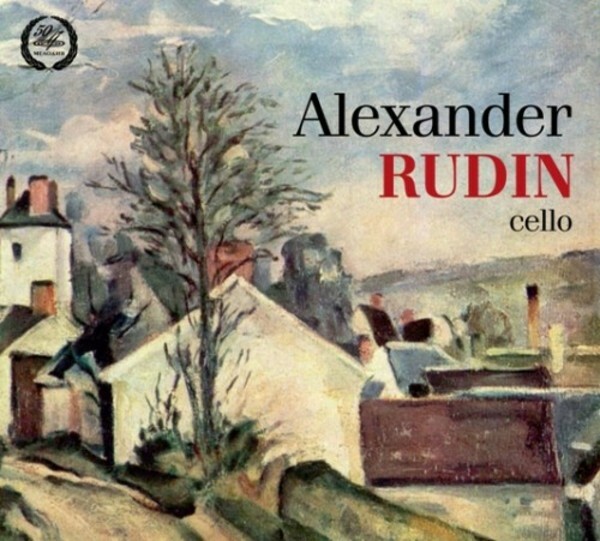 Firma Melodiya presents a solo album of one of the leading Russian cellists of today, Alexander Rudin. A Peoples’ Artist of Russia, laureate of the State Prize of Russia in the field of literature and arts, and professor of the Moscow Conservatory, Alexander Rudin is among the best known performers, conductors and educationists of Europe. Rudin, who was a prize winner of the Tchaikovsky International Competition in Moscow, the Bach Competition in Leipzig and the Cassado Competition in Florence when he was young, has been a jury member of some the most prestigious musical contests. An owner of a unique repertoire, Rudin is equally interested in both baroque and contemporary music. As a performer, he combines elements of authentic play with a broad arsenal of modern techniques; and his supreme yet far from self-sufficing virtuosity combined with a refined sense of style allow him to turn to cello music of any period with success. What makes the featured recordings particularly attractive is that they were made at the initial stage of the cellist’s performing career in 1978 and 1983. A student of the Gnessins Music Teachers Institute at the time, Rudin won a number of serious competitions and drew the attention of professional critics and wide audience. Even then the cellist’s performing style was notable for the scope and diversity of repertoire – the album includes works by Giovanni Valentini, J S Bach, Ludwig van Beethoven, Nikolai Myaskovsky and Julius Klengel. The piano part is performed by Lidiya Yevgrafova and Viсtor Ginzburg (Myaskovsky).